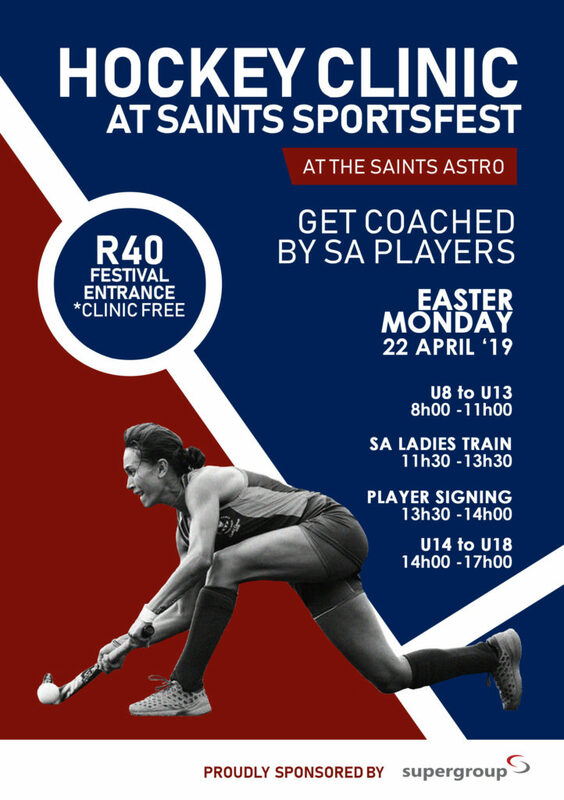 The SA Ladies will be hosting a free hockey clinic on Monday the 22nd April at the St Stithains Hockey Astro turf. The clinic is FREE of charge (cost R40 to enter the Easter Sport Festival) and open to ALL hockey players and coaches across Gauteng. The Junior clinic will be hosted in the morning from 08.00-11.00 and the Senior clinic will be hosted from 14.00-17.00. Not only will the players be coached by some of the top women hockey players in the country, but you can see these incredible hockey players in action as they are training from 11.30-13.30.